British Guernsey inventor Willy Johnson, has come up with ToPo®, a plastic bottle top that converts into a toy brick, similar to Lego, but larger. The bricks can be joined together to make towers and shapes, again just like Lego. Every week, a big number of screwtop bottle caps are thrown away without a thought. By replacing them with ToPo®, children – especially those in the Third World who have nothing – will get a free, educational toy. When Topo® bottle tops have completed their primary function, they can become entertaining and educational toys. Topo® bottle tops can join together in two horizontal dimensions but can also lock together vertically to create fascinating constructions from cars to birds and from planes to houses. With the alphabet, numbers and symbols, any amount of games can be played and most importantly educational but made with entertainment and fun in mind. 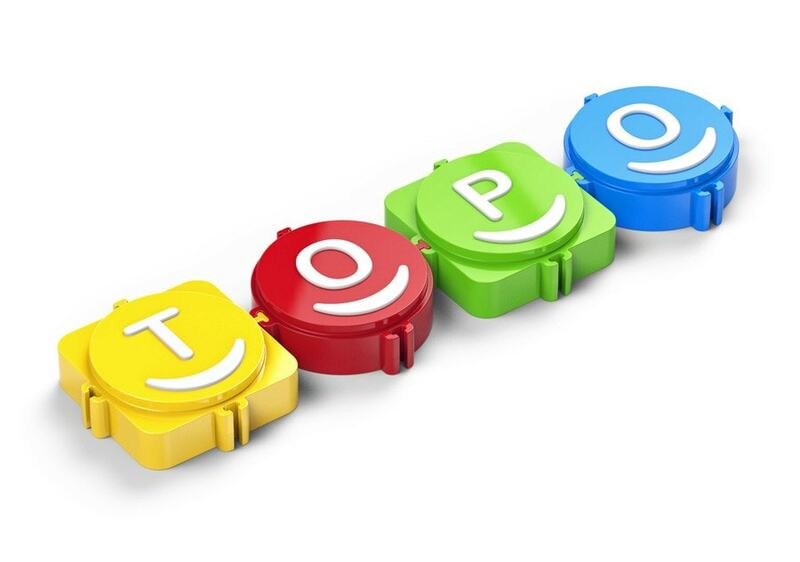 MOST IMPORTANTLY, Will Johnson also sees his invention, the ToPo® Bottle Top TOY, as a powerful weapon in the fight against child obesity, in particular leading to the long term dangers of diabetes. 14.8 billion litres of soft drinks were sold in the UK alone in 2015 (reported by BSDA). “Now that a sugar tax has been introduced and manufacturers will strive to reduce the sugar content in their drinks, ToPo® can act as a sweetener. Given the choice between a drink in a standard bottle or the same drink in a ToPo® bottle, the consumer will go for the fun, games, building block and educational ToPo® the TOY. In place of sugar, the ToPo® bottle top converts into a free giveaway toy, making little customers healthy and happy – and of course their parents! Renfrew Group International developed the Topo® concept through CAD design and working prototypes and have confirmed that existing production machinery would only need minor adjustments to switch to making Topo® bottle tops. Johnson expects to start with round Topos® as they will require only a minimal change to the production tools and machinery. A US Design Patent application and US Federal Trademark applications have been filed, giving ‘complete commercial protection against copyists for this product’ in the opinion of Johnson’s US patent attorneys. A patent has also recently gone to grant with the European Community office, which will now cover 38 European countries. Licenses for the use of the ToPo® intellectual property rights are now available for negotiations. This is a real chance to give to all children, worldwide a free chance to collect a toy to have fun with, and the more you collect the more entertaining it becomes, from something that was previously just “thrown away”.